Here is the project I told you about last week. I made a tutorial for this drawstring bag for Sew Mama Sew. 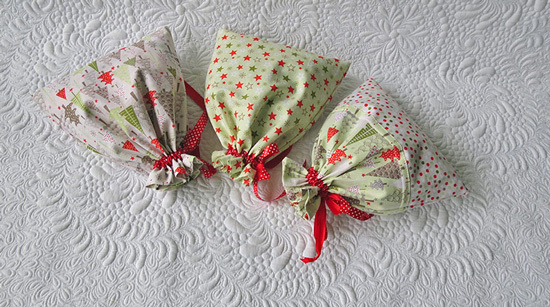 This drawstring bag is so quick to sew, you could sew a bunch in a few hours! It doesn’t have lining, still the seams are strong and nice and the seam allowances- invisible! The tutorial is for a bag made out of two fabrics, but you could sew even a faster version using only one fabric. Once you learn how to sew it, it is really hard to stop! We all need some (many, actually!) pretty gift bags! Or just pretty “containers” to store “stuff”. Check out this quick project on Sew Mama Sew.